We’re confident that given time his shoulder will recover and he’ll give himself the best chance to contribute to the list. MELBOURNE’S Category B rookie Guy Walker will be sidelined for the majority of the season after suffering some nerve damage to his shoulder over the pre-season. The 23-year-old copped a contact shoulder injury just prior to Christmas, with the damage proving to be more severe than initially anticipated. After a thorough investigation, the club discovered Walker had suffered nerve damage in his shoulder – an unusual injury that will require time to naturally repair. While it’s a disappointing result for Walker, General Manager of Football Operations Josh Mahoney is confident he will get back on track. “This is a frustrating time for Guy who’s got his opportunity to be on our list as a Category B rookie,” Mahoney told Melbourne Media. Unfortunately for Walker, the nerve doesn’t repair by doing more strength work, instead he has to allow it time to heal without doing too much activity. 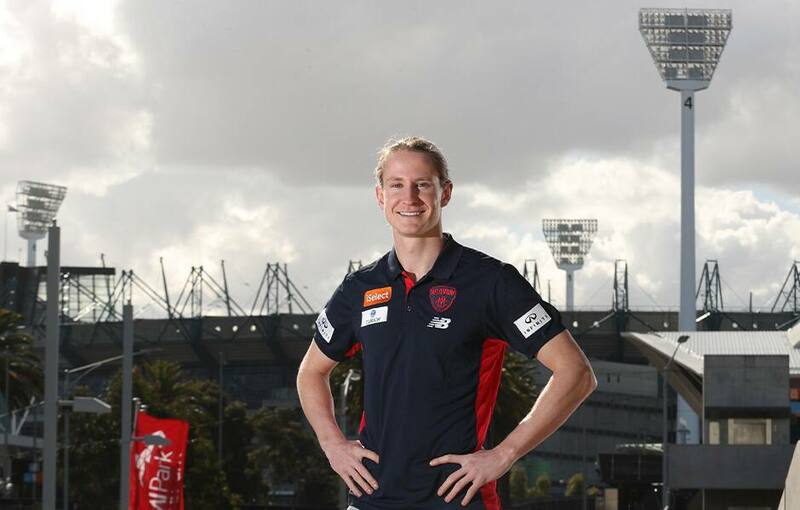 The former Melbourne Renegades cricketer has had some time to himself since suffering the injury but will be back in the red and blue to continue his development as a footballer. “Guy’s been away from the club for the last couple of weeks but we’re looking to get him back involved in our program,” Mahoney said. “He will take up different aspects of coaching and we will really educate him on the game.